COLUMBIA, Mo. ­— University of Missouri Chancellor R. Bowen Loftin announced today that MU is developing diversity and inclusion training for all faculty, staff and students. 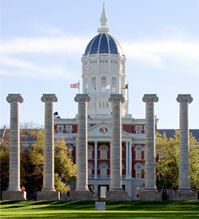 Beginning in January 2016, all first-time, incoming students admitted to Mizzou will be required to complete a training program that addresses the issue of racism at Mizzou, informs students of the many diverse organizations and resources on campus, and emphasizes each student’s responsibility to be inclusive. Students will be ineligible to enroll in classes without successfully completing this training. Training for all faculty and staff will be required and put in place as soon as possible in order to create awareness of and to address conscious and unconscious discrimination. University administrators are working with faculty council, staff council and academic leaders, including deans and department chairs, to develop the training and an expanded toolkit for faculty and staff. “We must all do our part to make Mizzou a welcoming community for every faculty, staff, student and visitor on campus,” Loftin said.